Heraclitus once said that nobody ever steps into the same river twice. He meant that the water of rivers constantly flows, so the water stepped in at one moment, will have been replaced by other water by the second step. The same can be said for city streets. One never walks the same street twice. From moment to moment, the street transforms. A shadow seizes another stone crevice from the light. Silence is torn by the sound of a wooden spoon on a copper pot. Tibetan prayer flags, recently placid, now ripple and bounce. A figure emerges from an alley I did not know existed, though I have passed this alley many times. Black circles ring her eyes. Her forehead is fractured by a thousand wrinkles. A cigarette droops languidly from the side of her mouth. A sense of loss now reigns sovereign over this street. I walk on. A soaring hawk traces its shadow across a stone. Will another hawk trace its shadow across this stone, with the sun at this decibel, at this precise angle? A single street recounts infinite stories. And like a river, thoughts flow constantly. A drip, a trickle, a gushing cataract. A street is never traversed by the same person twice. 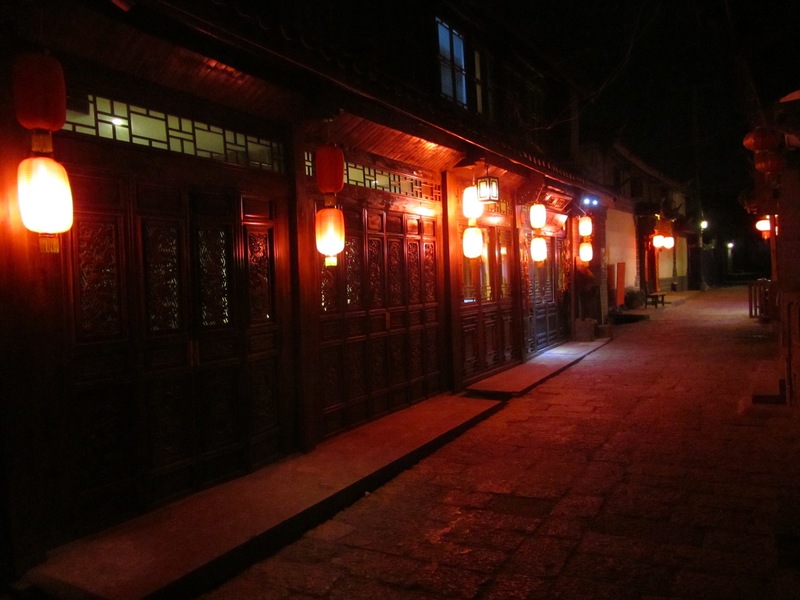 I walk the same streets of Lijiang but I have never walked the same street twice. 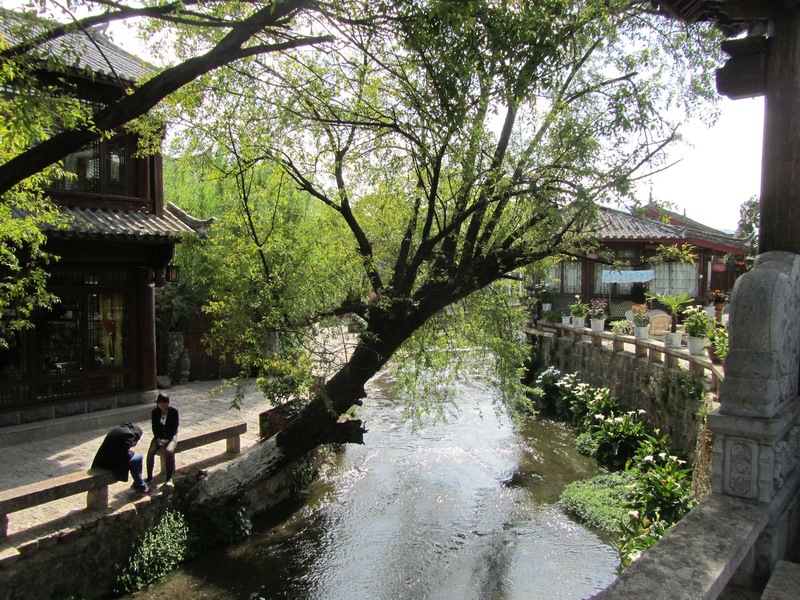 At first advance Lijiang retreats behind the security of crowds. She waits, offering a bloated knee to the visitor’s gaze. 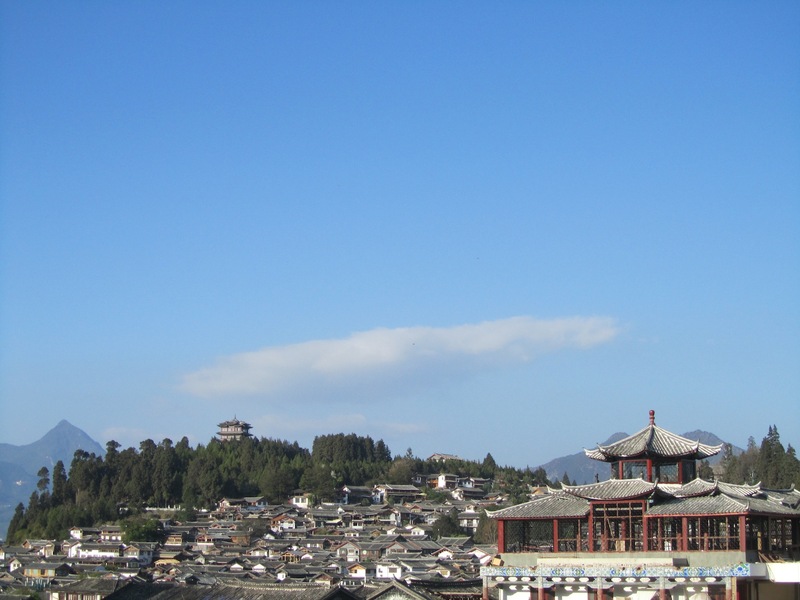 But if the visitor is patient, willing to roam among the bloated knees–the souvenir shops, the tour groups–Lijiang extends a warm embrace. There is a temptation to “do” cities. “We did Paris, then we did Barcelona and Madrid, we wanted to do London, but…” But there is something in this attitude towards travel, as if cities are passive objects, to be plundered and conquered. Against this attitude of urgency, of angst and checklists, the city disappears, offering only tokens of death: souvenirs and museums. It is when the traveler is willing to dwell in a city, to listen, this is when the living city is called forth to reveal its infinite depth. 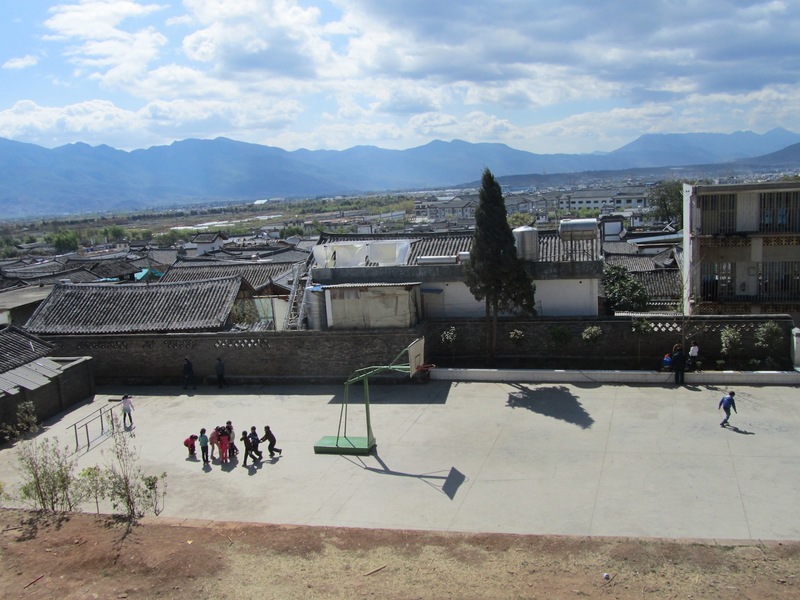 Lijiang is a story teller. In the layers of stone you can read a story of conquest and collapse. In the narrow alleys emptying upon vast squares you can still hear the seven hundred year old echo of muslim, hindu, and buddhist merchants. Who hauled the heavy stones from which these streets were made? From where did they arrive? By what means? Under whose command? The city tells a story of masters and slaves. The elevated boundary at the threshold of every home recalls a belief in spirits who glide along at ground level, and are thus barred entry. In seven hundred years what will Lijiang say about us? That’s awfully kind of you… too kind in fact, but heck, at this junction, I’ll take what I can get! See you soon maestro! Can I offer you a drink? A goat? So kind of you to visit my fellow gangsta… we’ve some serious catching up in store… I trust some scribbling on the Far East of the A. is in order after the Japan Bananagins?